We supply beautiful made to measure curtains and roman blinds in any size our customers require. Professionally made with a choice of styles and fabrics. BBG is a trading name of Best Brothers Group. We have been manufacturing and supplying made to measure soft furnishings for many years, to the Toronto trade and general public. Made To Measure Goods: All our made to measure goods are made in house, we don’t send your curtain or blinds order to the lowest bidder for making. 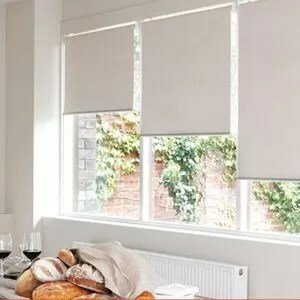 Our skilled staff take pride in the products they make, and we believe our made to measure roman blind system is the best available in the Toronto. Many other companies have copied it over the years. Website: Our secure website is designed to be easy to use. We manufacture a large range of made to measure products, but we only offer a basic selection online. If you require pelmets, valances, cushion covers or any other soft furnishing which is not available to order through the site call us and we can help. Looking for the latest designs for your window dressings, or a warm and welcoming carpet to give your home a new lease of life? Our collections of made-to-measure blinds, curtains and shutters are sure to offer a design that catches your eye. And our stylish and practical carpets range is just as comprehensive.